General Construction: Polypropylene body and transparent AR polycarbonate front window. 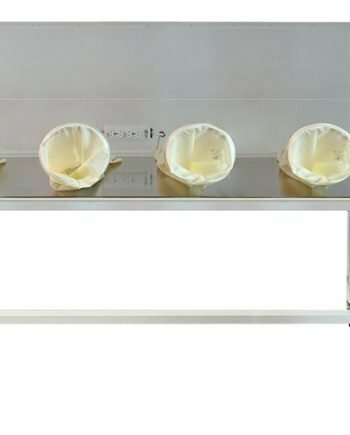 Glove Ports: 8” diameter ports with stainless steel glove clamps. Main Chamber Door Opening: 22” x 22” (located on the right side); Antechamber Door Opening: 11.5” x 22” front access. Pressure Gauge: Magnehelic gauges (0 – 0.25” water column) monitors the internal positive pressure of the main chamber and antechamber. IV Bar: Stainless steel rod, 0.5” diameter, including S-shaped IV hooks, mounted about 5” from the filter face. Test ports: To test or certify the internal pressure and the differential pressure of main and antechamber. The two ports are located on the left upper side of the unit. Pre-filters: Washable polyurethane foam filters located on the intake and exhaust. 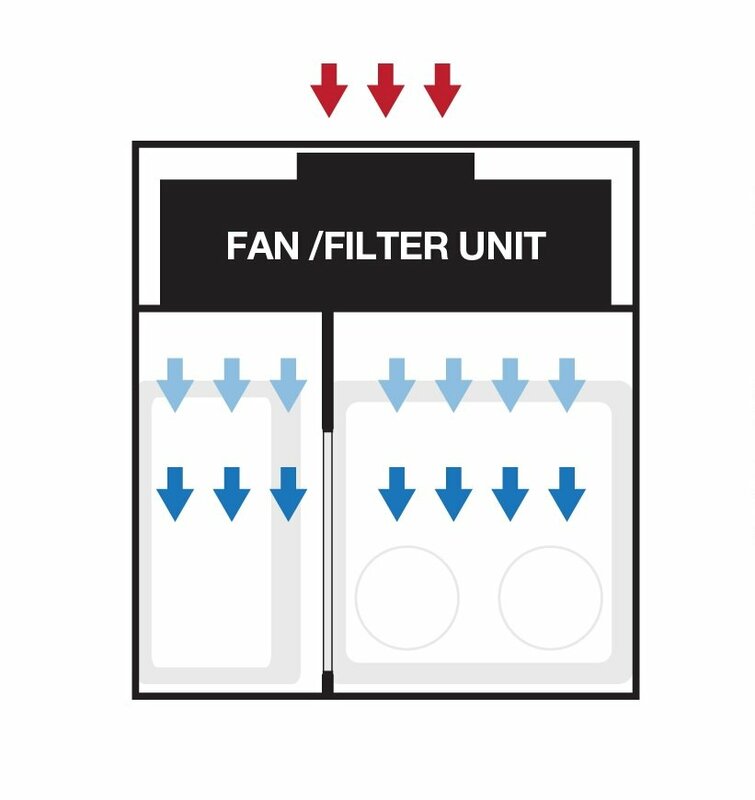 Final Filters: HEPA filters are 99.97% efficient at trapping particles as small as 0.3 microns. ULPA filters are 99.999% efficient at trapping particles as small as 0.12 microns. 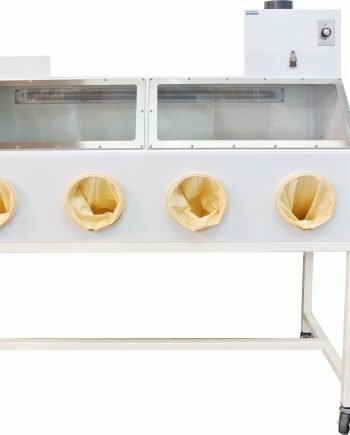 Average Airflow Velocity: 90 feet/minutes (fpm) at filter surface; Air Flow: 480 CFM. Sound level: 51 dBA, measured no more than 30” from filter face at 90 FPM. Lighting: Two internally mounted LED light fixtures. Electrical: 110VAC, 50/60Hz or 220VAC, 50 Hz. 3 Amp Maximum, Meets the requirements of the National Electrical Code and applicable local codes. Performance: Particle count exceeds ISO Class 5 requirements, Meets IEST recommended practices. Epoxy powder coated steel stand with caster (including two locking). Stands are available in 30'' and 35'' height with an optional upgrade to leveling mounts. 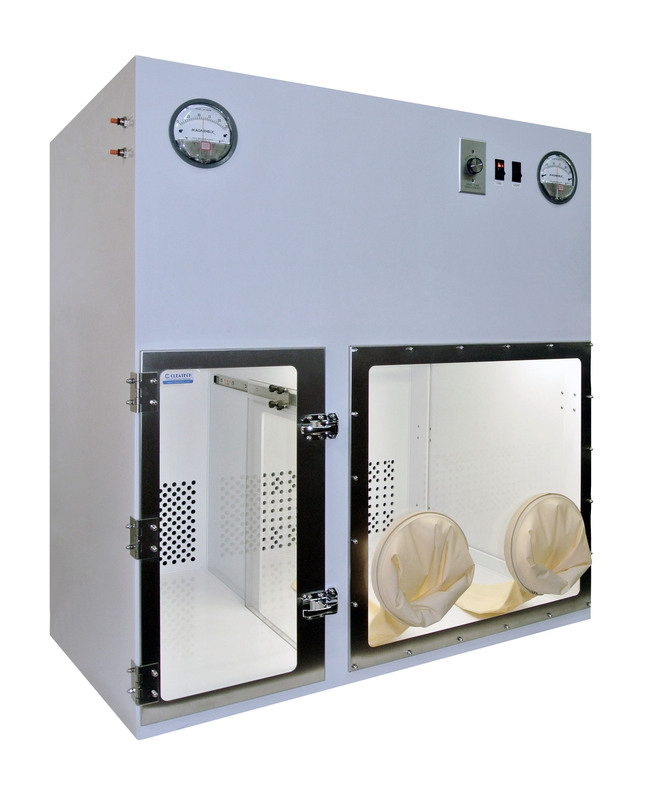 See all available models and accessories of Cleatech glove boxes. 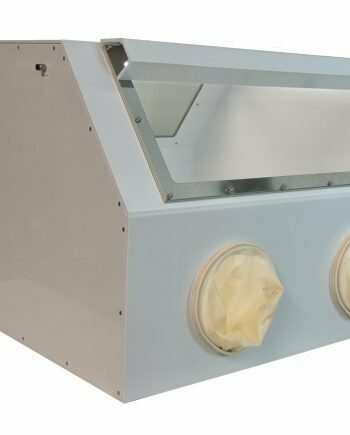 Compare the many design and fabrication features that make Cleatech glove boxes the most efficient and durable controlled atmosphere system available. Download the glove box datasheet in PDF. 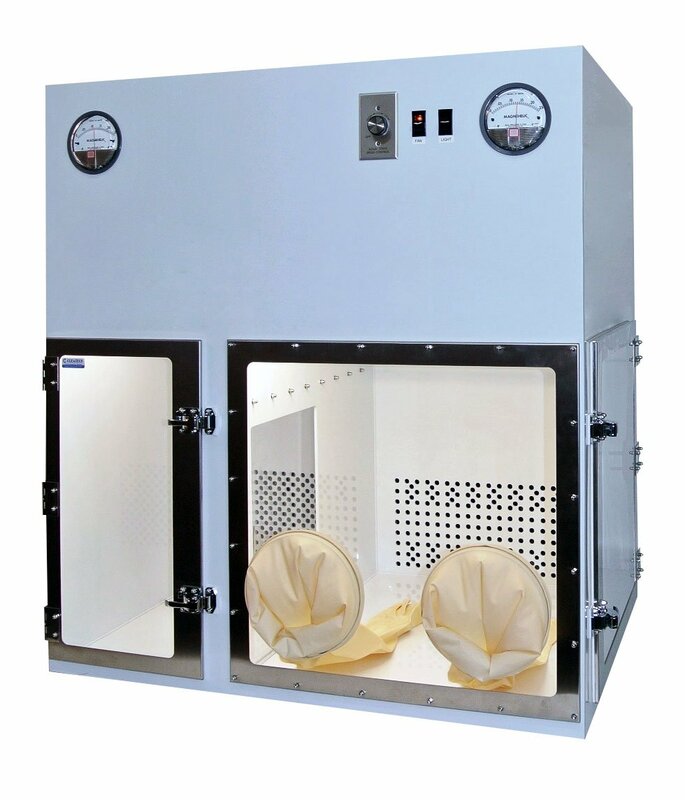 In this video, we will be showcasing Cleatech's glove box systems, isolation and containment enclosures. 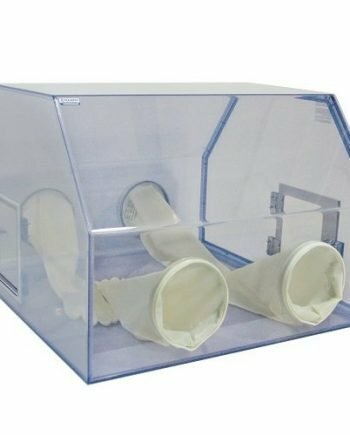 A general guide specifying the differences between the types of glove boxes we carry.